Neck-bud style Bluetooth headphones certainly aren’t everyone’s cup of tea, but some people swear by them for their battery life and exercise-friendly design, and both of Anker’s models are on sale today. Anker’s original SoundBuds are our readers’ favorite Bluetooth earbuds, so the SoundBuds Lite and Life have a good pedigree. The SoundBuds Lite run for 10 hours on a charge, while the Lifes have upgraded drivers and a whopping 20 hours of battery. Just be sure to note the appropriate promo codes below before you buy. Assuming your computer can handle it, a 4K monitor is one of the best upgrades you can make to your computing experience, and it’s never been cheaper than it is today on Amazon. For one day only (or until sold out), you can get a refurbished Samsung 28-inch 4K display for just $270. That’s one of the first times we’ve seen a 60Hz 4K display drop below $300. The same monitor is currently listed for $400 new, and while the refurb only includes a 90 day warranty, you can add three years of protection for about $20 (look above the buy button on Amazon). 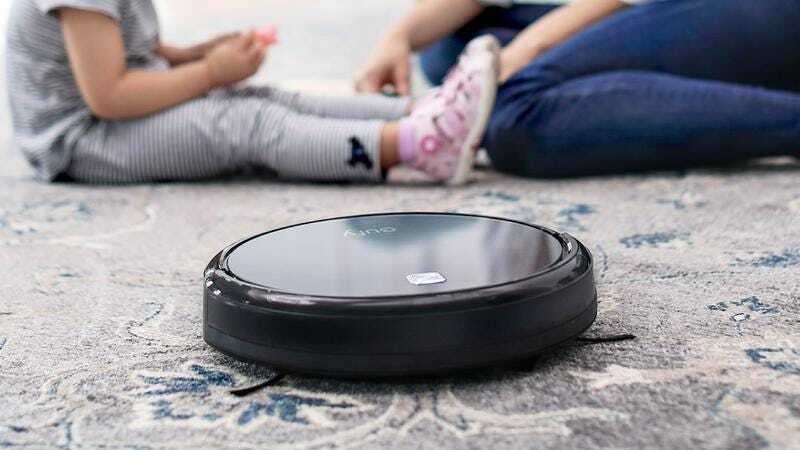 The RoboVac 11 from Eufy (a division of Anker) is one of your favorite robotic vacuums, and in my own testing, it’s every bit as good—and far quieter—than my Roomba. So if it’s been on your radar, our readers can save $20 today with promo code KINJA627. The final price of $200 isn’t the best deal we’ve seen on this (it went down to $150 for a few glorious hours in May), but it’s still $75 less than the comparable Roomba, so if it’s been on your shopping list for a while, this is a solid chance to save. These days, you probably charge as many things over USB as you do over standard AC outlets, so it only makes sense to add some semi-permanent USB ports to your home. Get a top-selling receptacle from TopGreener today for just $16 with code VQIIDUIL, one of the best deals we’ve seen. Want to jog your memory about the Jason Bourne series? The Ultimate Collection Blu-ray is down to $35 today on Amazon, which gets you three great films, a disc full of special features, and also Jason Bourne and The Bourne Legacy spin-off.